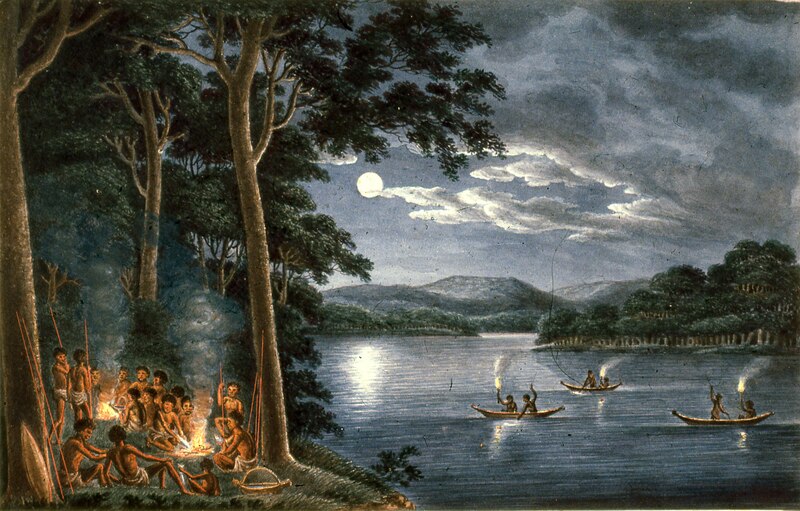 Painting by Joseph Lycett, "Fishing by Torchlight, Other Aborigines beside Campfire Cooking Fish" a slide from the Dr. John Turner collection at UoN. Before European exploration and settlement of the Hunter Valley, it was inhabited by six tribes: the Worimi, Darkinung, Awabakal, Wonarua, Birpai and Kamilaroi. The picture above depicts night fishing with canoes, the first use of vessels for transport in the Hunter Valley. Newcastle was known to the Awabakal people as "Mulubinba".